The Audioengine W3R is designed to connect your audio components wirelessly. The W3R handles USB audio up to 16 bits/48KHz with no compression, as well as analog audio via a 3.5mm minijack. Think of the W3R as a wireless 16-bit USB DAC as well as a wireless audio link. The W3 consists of 2 parts, the "Sender" and "Receiver". 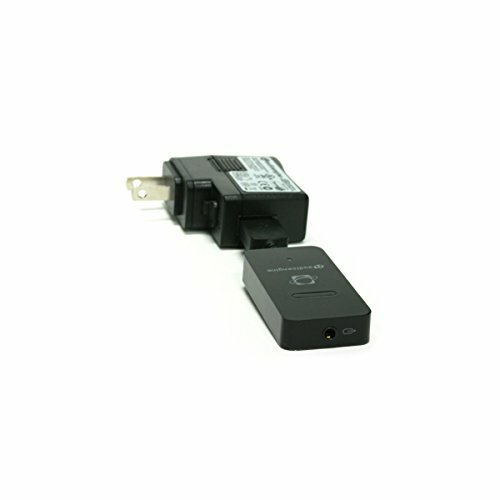 The Sender transmits audio from your computer through USB audio or from any product with 3.5mm mini-jack or RCA audio outputs. The other side of W3, the Receiver, delivers audio to any product with mini-jack or RCA audio connectors. Power for the Sender and Receiver is provided from either a USB computer port, from the included power adapter, or from any other USB charger (such as an iPod charger, for example). Another power source is the Audioengine 5+ powered speakers, which are equipped with a USB power port on the rear panel. For use with Audioengine W3 Premium Wireless Audio Adapter Kit. The Audioengine W3 is designed to connect your audio components wirelessly. The W3 handles USB audio up to 16 bits/48KHz with no compression, as well as analog audio via a 3.5mm minijack. Think of the W3 as a wireless 16-bit USB DAC as well as a wireless audio link. If you have any questions about this product by Audioengine, contact us by completing and submitting the form below. If you are looking for a specif part number, please include it with your message.